"How do I write a recommendation for a book that left me speechless? Walden is a prodigy: her first book was published while she was still in high school, and this is her second. This story perfectly illustrates all the emotions of falling in love as a young, queer person: the excitement, the fear, the uncertainty... a kind of love that one can only experience as an adolescent, a love as big as a city." Section All Staff Suggestions / Fiction Suggestions / Kaleigh O. Two girls in a small town in the USA kill time together as they try to get through their days at school. They watch videos, share earbuds as they play each other songs and exchange their stories. In the process they form a deep connection and an unexpected relationship begins to develop. 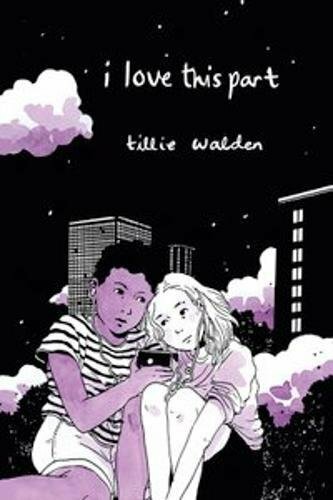 In her follow up to the critically acclaimed The End of Summer, Tillie Walden tells the story of a small love that can make you feel like the biggest thing around, and how it's possible to find another person who understands you when you thought no one could.